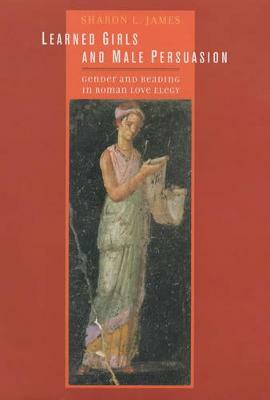 This study transforms our understanding of Roman love elegy, an important and complex corpus of poetry that flourished in the late first century b.c.e. Sharon L. James reads key poems by Propertius, Tibullus, and Ovid for the first time from the perspective of the woman to whom they are addressed--the docta puella, or learned girl, the poet's beloved. By interpreting the poetry not, as has always been done, from the stance of the elite male writers--as plaint and confession--but rather from the viewpoint of the women--thus as persuasion and attempted manipulation--James reveals strategies and substance that no one has listened for before. "James shapes a new and original understanding of elegy.... The author's agenda of foregrounding the viewpoint of the docta puella should stimulate major changes in the way that these poems are studied." "James provides a highly original reading of the elegiac genre. Her use of the docta puella as the focalizing point of her reading provides new insight into its fundamental nature.... The book would serve as an excellent introduction to the genre for undergraduates."